The Poly-88 computer was introduced in 1976. 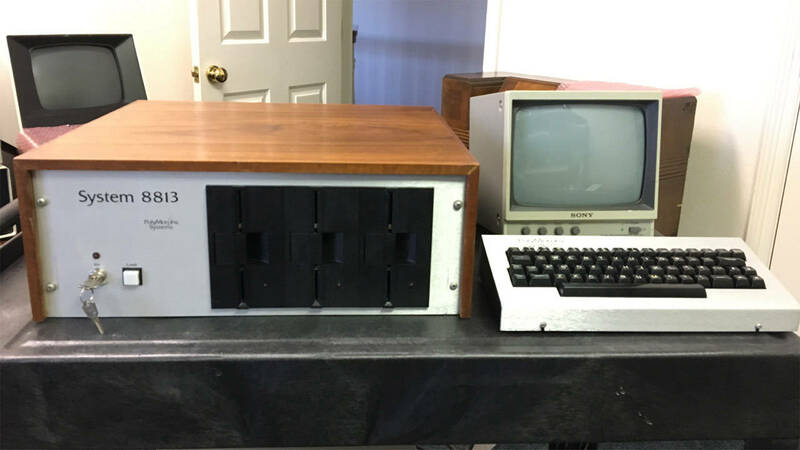 Originally named the "Micro-Altair," the name was changed to "Poly-88" after objections from MITS (the manufacturer of the Altair 8800). The Poly-88 is very compact using a five slot S-100 bus with the option of attaching side connectors to join adjacent cabinets together. The Poly-88 was available in kit form or assembled. The keyboard and monitor were sold separately and you provided your own cassette recorder for program storage. 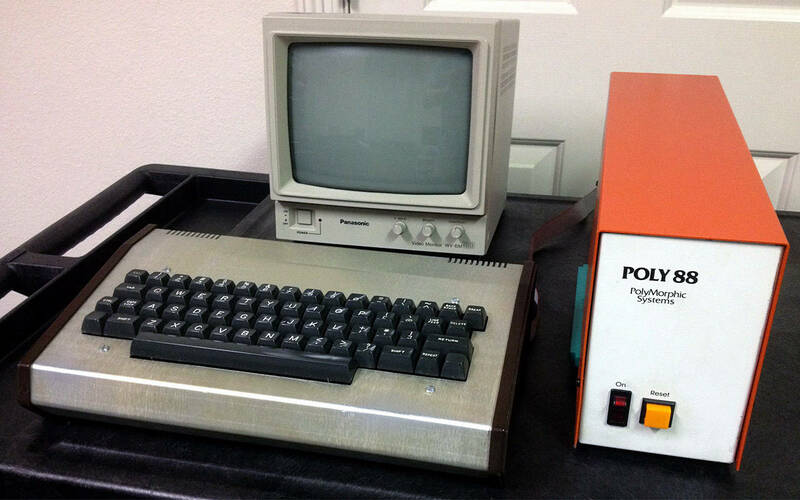 The Poly-88 system pictured below is one from my collection. The Poly CPU board is visible in the internal side view picture. The PROM on the far right is the 1K Poly Monitor that provides drivers for the screen, keyboard, and loading programs from cassette. The Poly monitor also provides a front panel mode that allows viewing and changing memory locations, jumping to an address for execution, and breakpoints for debugging. 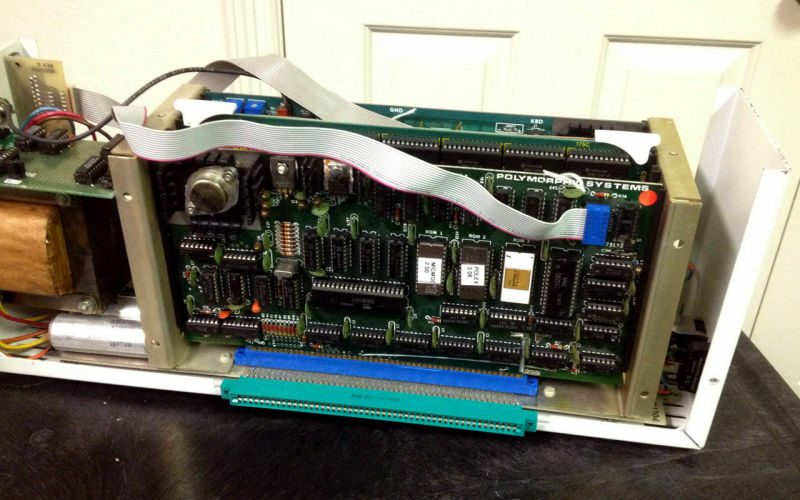 Two PolyMorphic S-100 boards are in this computer: The CPU board and the video terminal interface board. 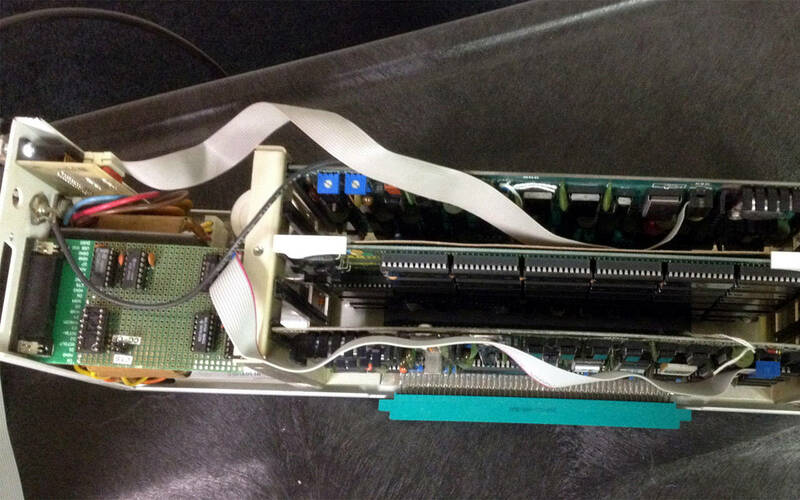 The middle board shown in these pictures is a 64K static RAM board of newer vintage than the Poly-88. 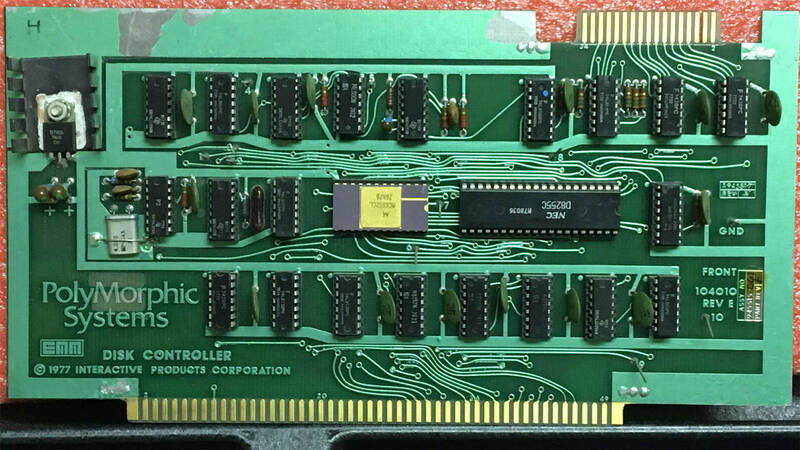 Detailed pictures of the CPU and video boards can be seen in the Poly 8813 section further below. 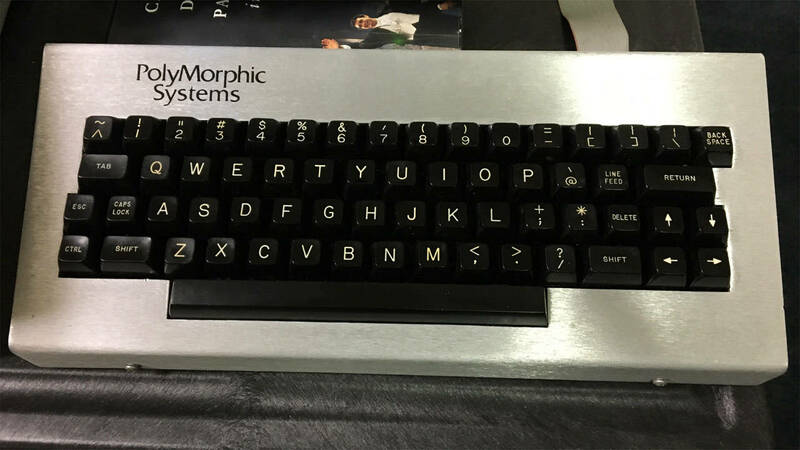 For more information about PolyMorphic computers, click to see the archive of Bob Bybee's PolyMorphic website. 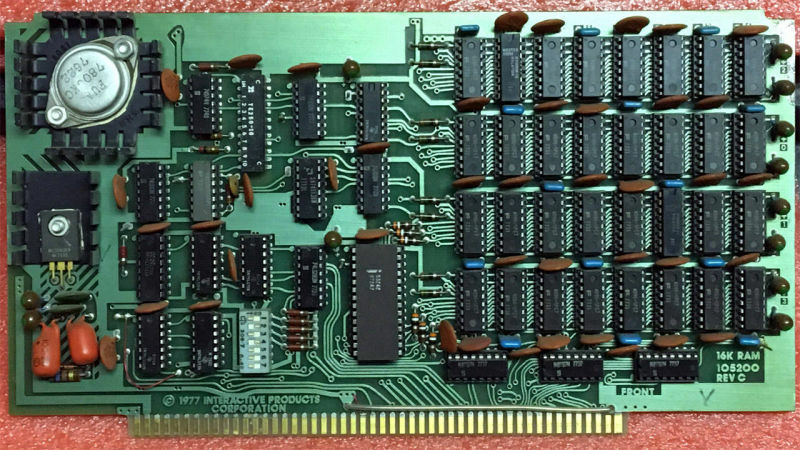 CP/M was not common on the Poly-88 because CP/M requires RAM starting at address zero and the Poly CPU board has PROM in the first 3K of address space. Even though the on-board PROM on the Poly CPU can be disabled under software control, keyboard input and serial I/O can only be performed using interrupts and only while the PROM address space on the CPU board is enabled. This means implementing CP/M is not as simple as just disabling the on-board PROM and running CP/M. 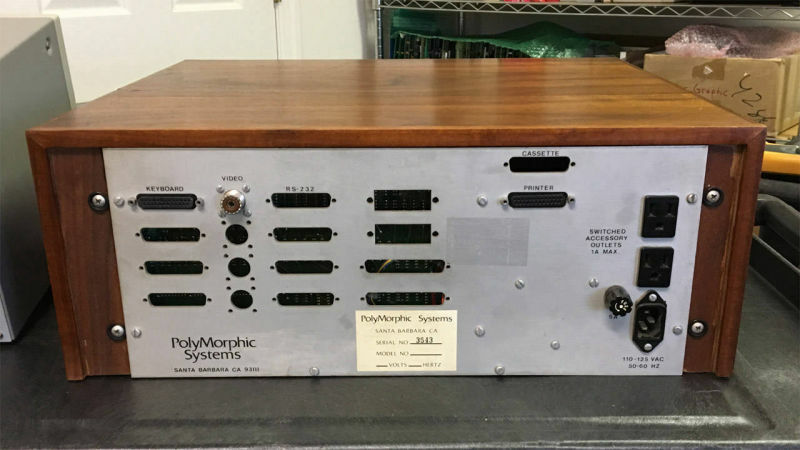 To make PolyMorphic computers more CP/M friendly, Martin Eberhard has written an extension to the original Poly-88 PROM monitor he calls "Polex." Polex installs in the second PROM socket on the CPU board and is automatically called and initialized by the original Poly-88 PROM. Along with a few useful operator commands, Polex also manages real-time swapping of RAM and PROM in the lower address space and provides console and serial I/O entry points for use by a CP/M BIOS. Even with the Polex PROM in place, all original functions of the Poly-88 remain and operate the same. 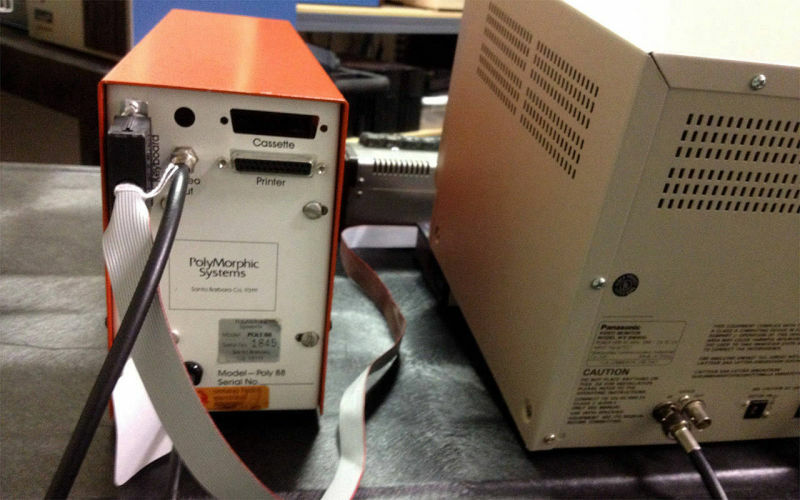 To date, I have ported versions of CP/M to the Poly-88 (with Polex) for the PolyMorphic single density controller, the Micropolis controller, both the North Star single and double density controllers, the Tarbell SSSD controller, and the Altair 8 inch controller. The Polex PROM, CP/M disk images, disk image transfer utilities, etc., are available below in the Resources section. The Poly 8813 was introduced in 1977, about a year after the cassette-based Poly-88. 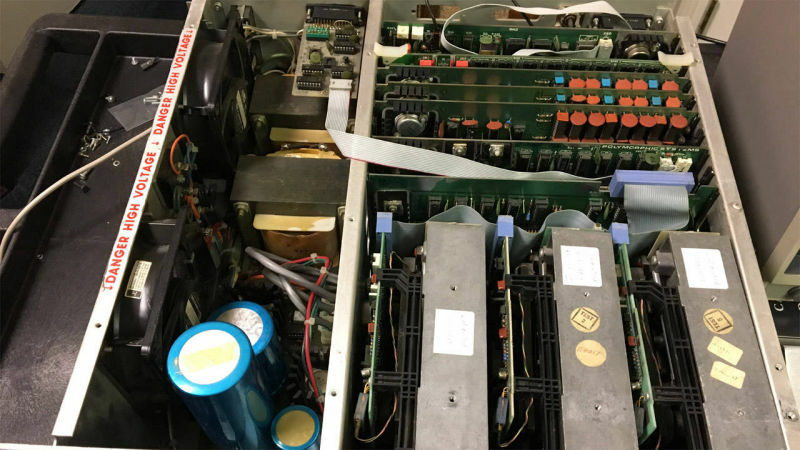 The 8813 used the same CPU, video, and RAM boards that were sold for the Poly-88, but in a much bigger chassis with a large power supply, card cage, and room for three 5.25 inch floppy drives. 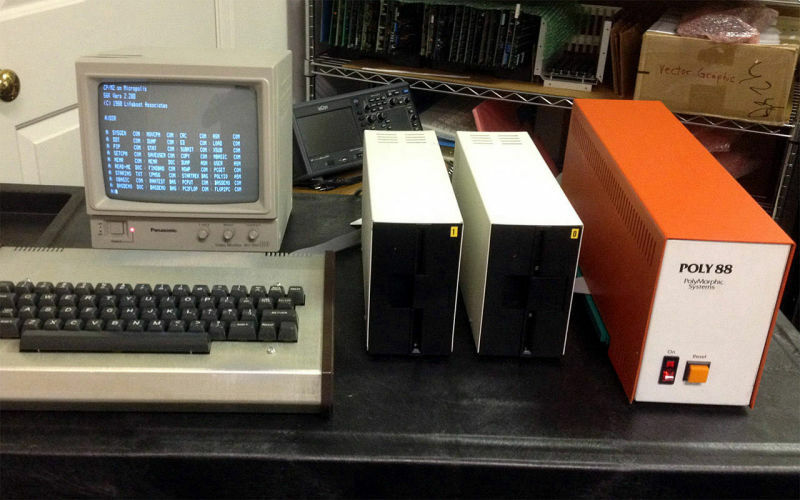 The 8813 was originally sold with a SSSD hard sector disk controller, three 5.25 inch drives (about 88K each), a disk operating system, programming languages, and business applications. The introductory price was $3,250 - about $11,000 today. The operating system was a surprisingly powerful and flexible DOS called "System-88" or "Exec." The supporting macro assembler, BASIC, word processing, and other packages were as good or better than comparable products on the market at that time. 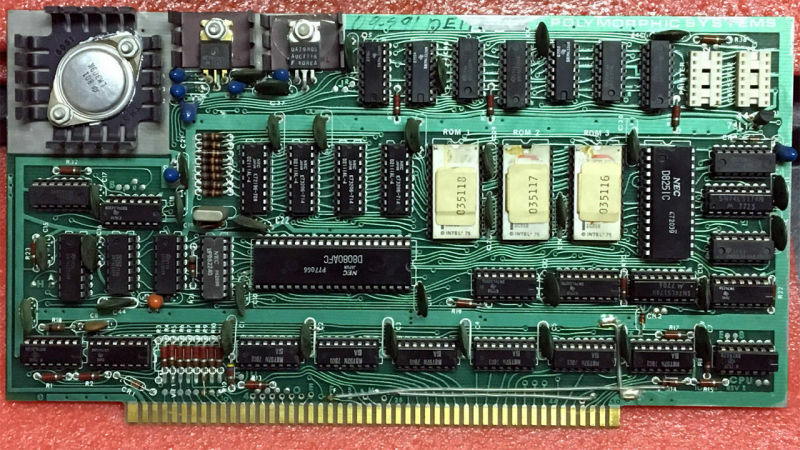 System-88 had several key features not available in CP/M, but at the same time, had several shortcomings relative to CP/M. 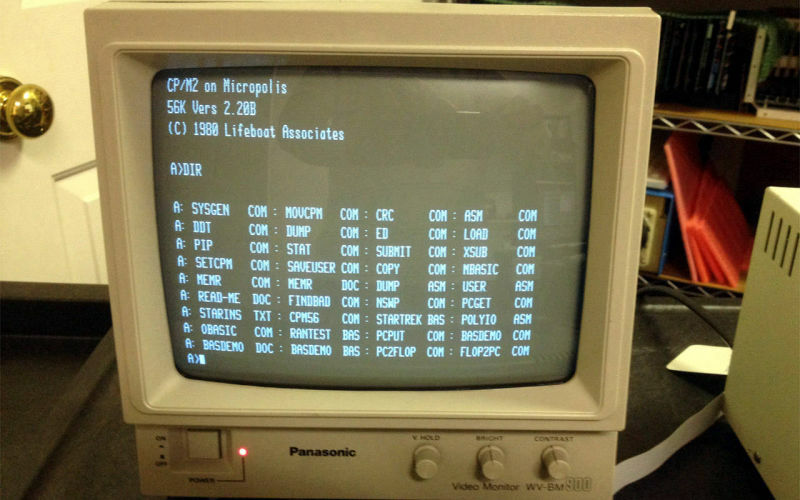 By the early 1980's, the personal computer market had adopted CP/M as a de facto standard, and as such, CP/M had by far the largest available software base. Poly owners clamored for CP/M for their machines, but as noted above (Poly-88 and CP/M), it was not easy to port CP/M to the Poly hardware. Lifeboat, one of the largest distributors of CP/M, promised CP/M for the PolyMorphic computers for about a year before giving up. 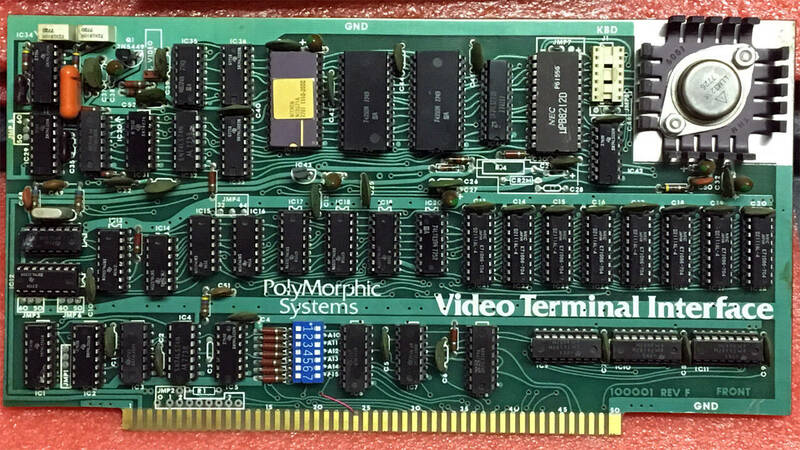 Eventually, PolyMorphic themselves provided CP/M for their computers, however, this required a new 8K RAM board designed specifically for CP/M and significant mods to the CPU board. Interestingly, the Polex solution described above is a simpler way to run CP/M on the Poly and does not require additional hardware. 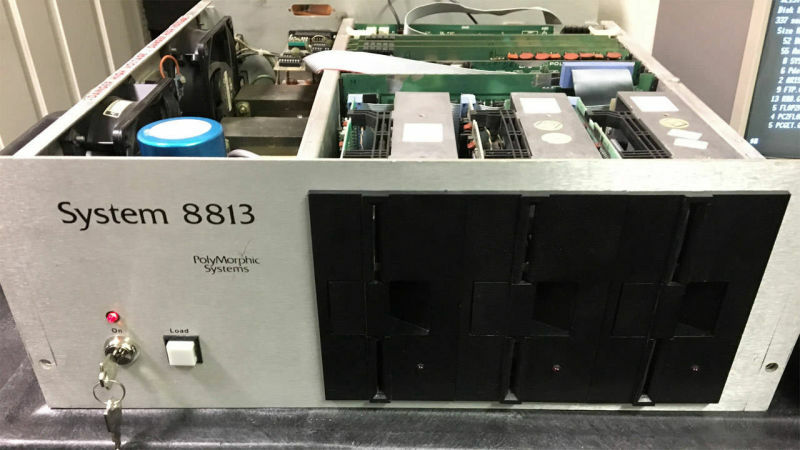 Shown below are pictures of a Poly 8813 I restored. Numerous System-88 disk images, disk image transfer utilities, PROM source code, and more are available in the Resources section below.